Haemophilia patients were given contaminated blood during the 1970’s and 80’s. THE INFECTIOUS DISEASE hepatitis C has been all but eradicated in people suffering from the blood condition haemophilia – who were infected when they were given contaminated blood. The announcement today that upwards of 90% of the 220 people who were infected with the disease – which was passed them when they were given contaminated blood transfusions during the 1970s and 80s – was welcomed by the Irish Haemophilia Society. Haemophilia is a genetic condition in which a person’s blood doesnt clot properly, meaning they could bleed much more profusely from cuts. 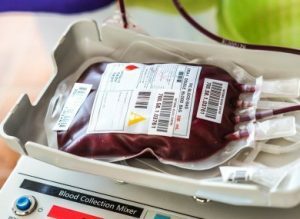 Throughout the 1970s and 80s, patients with haemophilia were given blood products which contained the hepatitis C virus, which was only formally identified in 1989. In total, 266 people were infected with the disease through blood or blood products. Many have died since as a result of the infection, and the State has paid out large sums of money to survivors. There have been a number of treatment programmes offered to survivors in the intervening years. Today, Health Minister Simon Harris said he was “delighted” to announce that the HSE National Hepatitis C Treatment Programme had had a very high success rate for haemophilia patients. “I am so delighted for all the patients who can now look forward to a bright, healthy future,” said Harris. The effective eradication of this disease will transform the lives of these patients, their families and those who continue to access the new direct acting anti-viral medicines under the Programme. Commenting on the news, Brian O’Mahony, chief executive of the Irish Haemophilia Society, said that the news meant that the disease was “effectively eradicated” in the haemophilia population. He said that anyone who wanted treatment for hepatitis C was given it, and “has now been cleared” of the disease. There is no cure for haemophilia, however with proper treatment and self-care most people with the condition can live healthy, active lives.